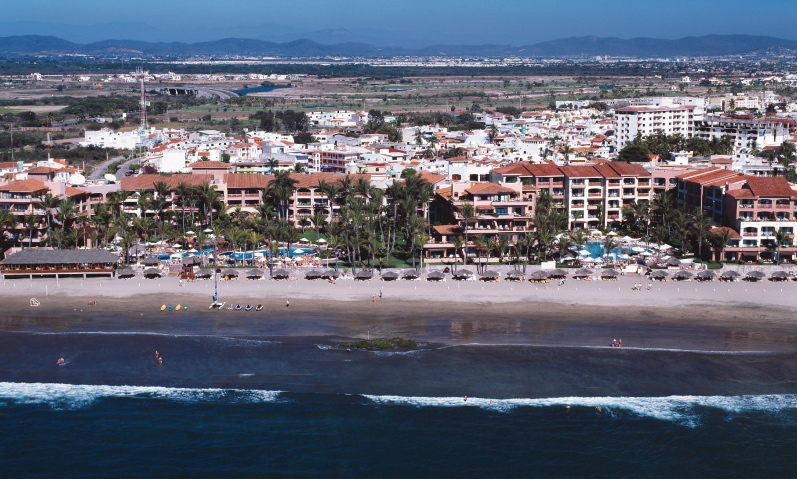 Surrender to the magical atmosphere at Pueblo Bonito Mazatlan. Plan a romantic getaway or take your family and kids to experience a magic that will surely leave you in wonder and awe. Pueblo Bonito has two swimming pools, on-site dining options, and a luxurious spa to submerge in tranquility and relaxation. For those looking to feel life through music, Fiesta Land, a white castle postured like a beacon for nocturnal amusement, contains many of Mazatlan’s hottest dance clubs and nightlife hangouts. Kid’s Club ($) — Activities program for children ages 4-11. Tuesday – Sunday from 10am to 5 pm. Program offers arts and crafts, board games, pool games and more! No Cash Needed program– Charge everything to your room and pay at checkout. Take an ocean charter to catch Yellow Fin Tuna, Marlin or Sail fish. Las Palomas – Mexican cuisine, breakfast buffet, and a la carte menu. Cilantro’s – Oceanfront terrace dining offering fresh seafood and international cuisine.